Educational Insights World Foam Map Puzzle Just $8.09! Down From $21! At Amazon, you can score this Educational Insights World Foam Map Puzzle for just $8.09 down from $21.49 PLUS FREE shipping with Amazon Prime or for orders over $25! 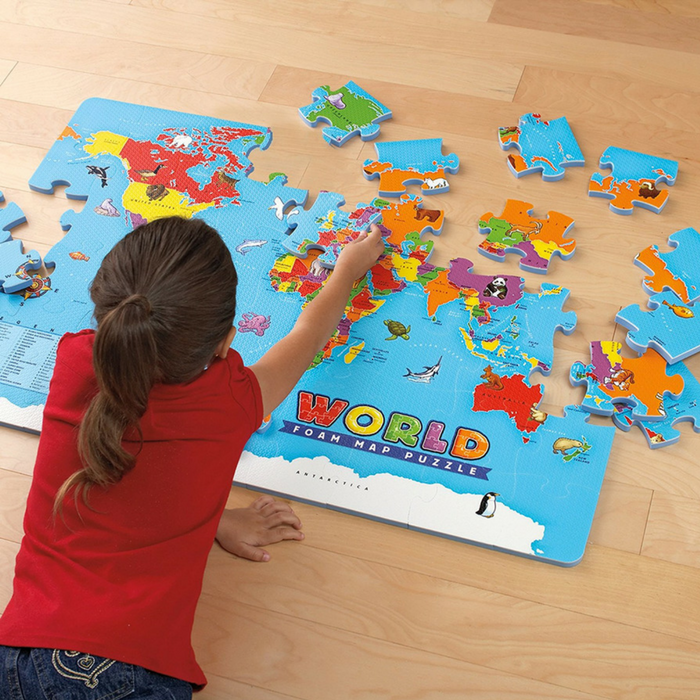 Discover a whole new world with the World Foam Map Puzzle from Educational Insights. This fun-to-assemble, giant foam map will take little learners on a tour around the world from America to Zimbabwe. Discover and learn about far away countries, the world’s oceans, and exotic animals from around the globe with adorable illustrations featured throughout the puzzle. Designed with little hands in mind, these extra-soft, jumbo pieces make puzzle play easy for young adventurers. Perfect for Preschoolers! You’ve got the whole world in your hands with this giant, fun-to-assemble foam puzzle! Get hands-on practice with the continents, countries, oceans, and animals of the world, from the comfort of your own home or classroom! Builds world geography skills, fine motor skills, hand/eye coordination, problem solving skills, and strategic thinking skills. Includes 3′ x 2′ foam map puzzle with 54 extra-soft, kid-sized pieces. Pieces are water-resistant and easy to clean.